The NBA’s new league year will officially begin on Sunday at 12:01 am eastern time, and this year’s free agent period should be fascinating, given the lack of cap room available around the league. There may not be enough money to go around for all the quality players who will be seeking raises and multiyear deals. Listed below are our top 50 free agents for the 2018/19 NBA season. The players on this list are on track to reach free agency on July 1, though a small handful could still pick up options for next season. Our rankings take into account both a player’s short-term and long-term value. If we were to consider solely a player’s worth for the 2018/19 season, a veteran like Dwyane Wade would likely place higher, while younger free agents with upside, such as Jabari Parker and Zach LaVine, might be ranked a little lower. Our top-50 list is a group effort, with Austin Kent, Clark Crum, Arthur Hill, and I all contributing to our composite rankings. In addition to the players listed below, there are plenty of other notable free agents available this summer. You can check out our breakdowns of free agents by position/type and by team for the full picture. Even at 33 years old, James will easily command a four- or five-year, maximum-salary contract if that’s what he wants. One of the NBA’s all-time greats, LeBron was operating at the height of his powers in 2017/18 and while we don’t think he can do this forever, he has shown no signs of slowing down. The team that ends up with him on its roster becomes an instant contender. You could make a case that Durant deserves to top this list after earning his second consecutive NBA Finals MVP, but whether he comes in at No. 1 or No. 2, his free agency will be a mere formality. 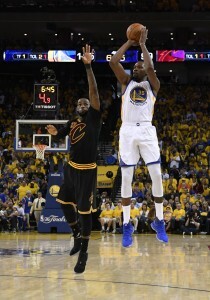 He has already indicated that he’ll opt out of his current contract to sign a new deal with the Warriors. Like Durant, Jokic is unlikely to generate much drama with his free agent decision. The Nuggets could have had him back on a paltry $1.6MM team option, but chose to decline that option in order to lock him up to a long-term deal. The two sides are expected to finalize a five-year, maximum-salary agreement soon after the new league year begins. Viewed as a virtual lock a year ago to eventually end up with the Lakers, George is still seriously considering heading to Los Angeles, but the Thunder remain very much in the mix too. The All-Star forward will have to decide whether a second year with Russell Westbrook and company can produce better results than the first one did, or whether it makes more sense to start fresh in L.A.
Paul had the chance to reach free agency a year ago, but exercised his player option to facilitate a trade to the Rockets instead. At the time, there was a belief that it was only a matter of time before CP3 and the Rockets finalized a longer-term arrangement. As such, it would be a major surprise if Paul leaves Houston this summer. While Paul may be the Rockets’ most important free agent, Capela isn’t far behind. The young big man hasn’t developed a reliable jump shot, but he can do virtually everything else you’d want from your center, setting screens, finishing at the rim, and protecting the basket on defense. Even if it means matching a substantial offer sheet and/or going into the tax, the Rockets are expected to make a strong effort to keep Capela. 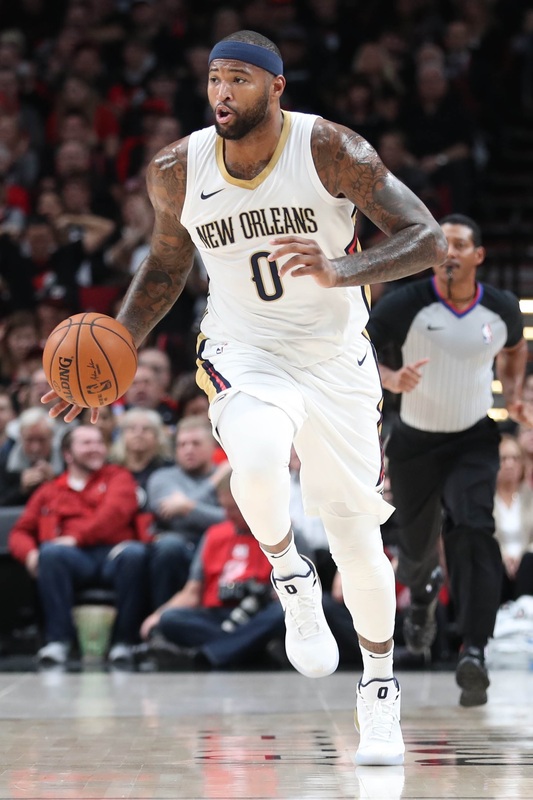 Cousins, who averaged 25.2 PPG, 12.9 RPG, 5.4 APG, 1.6 BPG, and 1.6 SPG in 48 contests for the Pelicans, was headed for a monster year before an Achilles tear sidelined him. The standout center is still in the midst of his recovery from that injury, complicating his value. It will be interesting to see if he has to settle for a shorter-term deal, or one that includes injury protections. A solid rebounder throughout his young NBA career, Randle expanded his offensive game in 2017/18, recording 18.6 PPG, 3.1 APG, and a .560 FG% in his 49 starts. 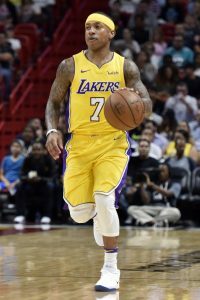 He could be a cap casualty in Los Angeles, depending on what sort of moves the Lakers can make in free agency and on the trade market, but the club will do all it can to avoid letting him get away for nothing. After being frequently forced into a small forward role in a crowded Orlando frontcourt in 2016/17, Gordon returned to his natural power forward spot last year and enjoyed his best season as a pro. At 22 years old, the former fourth overall pick still has plenty of room to develop into an even more dynamic player. Improving his three-point efficiency (.336 3PT%, 2.0 3PG in 2017/18) could help put him on a track to stardom. Jordan’s offensive game remains limited and his shot-blocking numbers fell off significantly in 2017/18 (1.1 blocks per 36 minutes). He’ll turn 30 next month, so suitors will be wary of investing too heavily in him, but Jordan is still an elite rebounder and a strong defensive presence in the middle. A pair of ACL tears since Parker entered the NBA have hurt his stock. The former No. 2 overall pick has flashed tantalizing potential when healthy though, including when he averaged 20.1 PPG on .490/.365/.743 shooting in 2016/17. Parker is still just 23, so he’s the sort of player who could be worth a roll of the dice if his medicals look okay. Like Parker, LaVine was in the midst of a career year in 2016/17 before going down with an ACL tear. And like Parker, LaVine failed to make much of an impact last season after returning from that injury. His brief, unspectacular audition for the Bulls clouds his value, but LaVine looked like a player on the rise before going down with that knee injury. If a team is confident he can pick up where he left off, he’ll be in line for a nice payday. Evans is coming off his best season since his 2009/10 Rookie of the Year campaign, having posted 19.4 PPG, 5.2 APG, and 5.1 RPG in 52 games for the Grizzlies. Memphis only has the mid-level exception available to offer Evans, and it’s very possible that won’t be enough. While he’s capable of knocking down the occasional big three, Smart’s overall shooting numbers (.367/.301/.729 in 2017/18) leave plenty to be desired. His defense and his locker-room presence make up for his offensive shortcomings, however — Smart has been a leader on a Celtics team that has appeared in consecutive Eastern Conference Finals, and is one of the league’s best perimeter defenders. Ariza’s nightmarish 0-for-12 showing in Game 7 of the Western Conference Finals may be fresh in many fans’ minds, but it shouldn’t have a real impact on his stock in free agency. Reliable three-and-D wings like Ariza are a crucial part of Houston’s offense, so rival teams may go to extra lengths to pry Ariza away from the Rockets, which could pay off financially for the veteran forward. Nurkic will likely never be a primary scoring option on offense, and he needs to be a little more consistent on defense, but promising young centers with his skill set typically do well in free agency. Although he likely won’t command anything close to the max, an eight-figure annual salary seems well within reach for Nurkic. After signing a one-year, $23MM deal with the Sixers a year ago, Redick may be in line for another big offer from Philadelphia if the team is unable to land its top free agent targets. If the 34-year-old wants to find one last long-term contract, he should have no shortage of suitors, as his three-point shooting (.439 3PT% over the last four seasons) makes him a fit on any NBA roster. An underrated part of the Nuggets’ rotation, Barton is capable of playing off the ball and hitting three-pointers (.370 3PT%). He can also handle the point and run the offense when called upon (4.1 APG). Barton is still very much in his prime at age 27, and his versatility will make him an appealing target for teams looking for a player who can fill out a starting lineup or lead a second unit. Rondo is unlikely to receive the sort of big-money offers that his friend and teammate Cousins will, but his importance to the Pelicans shouldn’t be understated. The veteran point guard helped set the culture in New Orleans and gave the team options in the backcourt, allowing Jrue Holiday to thrive at the two. Coming off a postseason in which he averaged a double-double (10.3 PPG, 12.2 APG), Rondo will be in line for a raise on last year’s $3.3MM salary. Favors isn’t an ideal fit as a power forward alongside a shot-blocking center like Rudy Gobert, since the pairing can create some floor-spacing issues, but the Jazz have made it work. Teams eyeing Favors in free agency this summer could envision him in a similar role, or they could be targeting him as a center, which is probably his natural position. A year ago, Thomas looked like a potential maximum-salary candidate for 2018. He won’t get anything close to that now, but if his hip is in better shape than it was last season, he’s an intriguing buy-low option. While Thomas will almost certainly never match his 2016/17 numbers, he had two other 20+ PPG years on his résumé prior to that season. 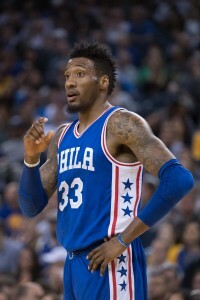 After failing to secure the kind of lucrative, long-term contract he sought in 2017, Caldwell-Pope improved his shooting numbers and increased his standing as a three-and-D swingman. However, his odds of a mega-deal likely won’t be any better this time around, given the lack of teams with cap space. Teams will be wary of committing big-time money to Hood after the Jazz essentially gave up on him and the Cavaliers saw him refuse to enter a playoff game. Still, 25-year-old swingmen who can shoot and score like Hood aren’t easy to find. He may not receive a massive offer sheet, but his market shouldn’t bottom out either. Traded from the Celtics to the Pistons to the Clippers during the 2017/18 league year, Bradley seemingly saw his value diminish at each stop, partly due to health problems. His three-point shot (.369 3PT%) remained reliable though, and he still has a solid defensive reputation. A contender that can add Bradley using its mid-level exception may get a bargain. VanVleet entered the 2017/18 season with fewer than 300 NBA minutes under his belt, but he morphed into Kyle Lowry Lite over the course of the year, running the Raptors’ five-man bench unit, knocking down big shots, and playing tenacious defense on opposing guards. While Toronto will look to re-sign him, a back-loaded offer using the Arenas provision could create problems for the cap-strapped Raps. Lopez’s days as a 20+ PPG scorer are probably over, but the veteran has a useful skill set at the five. He averaged two blocked shots per 36 minutes in 2017/18, and continued to hit just enough three-pointers (.345 3PT%) to make teams pay attention to him beyond the arc. Lopez is only 30, so he should have a few more productive seasons left in him. The Spurs have been willing to let several restricted free agents walk in recent years, including Jonathon Simmons last summer and Boban Marjanovic the year before. I expect the team to make a stronger effort to retain Anderson, particularly with Kawhi Leonard‘s future in San Antonio up in the air. Anderson’s numbers don’t jump off the page, but he played his role well, scoring efficiently (.527 FG%) and playing good defense. Anderson’s teammate Gay is an offense-first player who didn’t get the chance to contribute a ton on offense during his lone season in San Antonio, averaging a career-low 9.4 shot attempts per game. Another year removed from his Achilles tear, Gay will be looking for a healthier season in 2018/19, and I wouldn’t be surprised if he also seeks a larger role than the one he had with the Spurs. With NBA teams launching more three-pointers than ever, sharpshooters like Ellington should do well for themselves on the open market this offseason. Only six players in the NBA attempted more threes per game last season than Ellington’s 7.5, and the Heat veteran put them in at a 39.2% rate. Those numbers should earn him a raise on last year’s $6.27MM salary, and Miami may have trouble keeping him, given the team’s proximity to the tax line. Another three-point specialist, Belinelli launched 5.3 threes per game after joining the Sixers, making 38.5% of them. Like Ellington, he should attract plenty of interest from teams in need of floor-spacers, and most of the league’s clubs fit that bill. Harris improved his numbers across the board for the Nets in 2017/18, posting an impressive shooting line of .491/.419/.827. While Harris’ percentages could slip if his shot volume increases, he can afford a little regression. After posting 10.5 PPG, 8.1 RPG, 1.8 SPG, and 1.7 BPG in his first two NBA seasons, Noel struggled to carve out a regular role in Philadelphia and Dallas. At age 24, he still has plenty of upside as an athletic and versatile difference-maker on defense. An apparent throw-in piece in last summer’s Chris Paul blockbuster, Harrell emerged as DeAndre Jordan‘s primary backup and nearly matched Jordan’s scoring output despite playing just 17.0 minutes per game. It’s not clear if Harrell is ready for a larger role, but his impressive per-minute production off the bench makes him worth a flier. Unlike the two bigs just ahead of him on this list, O’Quinn probably doesn’t have much untapped potential left. Nonetheless, there’s value in his reliability as a rim protector and rebounder. He’d be an excellent backup center for any team, and may even find a situation where he can start. Wade showed in the Heat’s lone playoff win – when he poured in 28 points on 11-of-16 shooting – that he still has something left in the tank. He’s unlikely to leave Miami again, so if he opts to continue his career, he’ll fit in nicely as the leader of the Heat’s second unit. Considered a probable bust after his first two NBA seasons, Hezonja bounced back in a big way in 2017/18, making a career-best 44.2% of his field goal attempts and getting his 3PT% back up to .337. 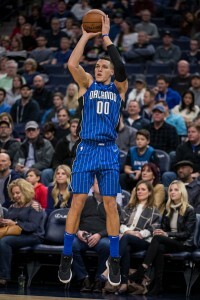 Since they turned down their fourth-year option on Hezonja’s rookie contract, the Magic will be limited in what they can offer the 23-year-old, which could allow him to find a payday elsewhere. Another former fifth overall pick like Hezonja, Exum also hasn’t turned into the kind of NBA player that many experts and fans expected. However, in Exum’s case, injuries deserve much of the blame. The talented young point guard has been limited to 80 regular-season games over the last three seasons. When he got healthy down the stretch in 2017/18, he flashed his play-making potential. In Payton’s first nine games as a Sun, he averaged 16.4 PPG, 8.2 APG, and 8.0 RPG with a pair of triple-doubles. However, he saw his production and his playing time dwindle the rest of the way, and his shortcomings as a shooter and a defender ultimately helped spell the end of his stint in Phoenix. With the Suns not planning to re-sign him, we’ll see if another team can get more out of the former top-10 pick. Although Mbah a Moute didn’t receive the same sort of attention as teammates Trevor Ariza and P.J. Tucker, he played a similar role for the Rockets, spacing the floor (.364 3PT%) and playing good defense on opposing wings. A shoulder injury sidelined him for part of the postseason and limited his ability to make an impact when he returned, but he proved his worth with his regular-season play. Ilyasova can’t seem to find a permanent home, having played for five teams in the last three seasons, including two separate stints with the Sixers. He keeps fitting into lineups as a reliable stretch four though. Since 2011/12, Ilyasova has never averaged fewer than 10 PPG and has knocked down 37.5% of his three-pointers. A nice fit in Boston alongside Al Horford, Baynes appears likely to sign a new multiyear deal with the Celtics. Baynes’ value comes from his rebounding and defense, but if he continues to have the sort of success from three-point range that he did during the playoffs (11 for 23), he’ll provide an even better return on investment. Nwaba’s calling card is his defense, and he’s unlikely to evolve into a go-to scoring option. But if he can maintain his shooting rates (.478 FG%, .346 3PT%) with a slightly higher volume, you won’t be able to ignore him on offense. Tolliver’s three-point shot was more effective than ever in 2017/18, as he made 2.0 per game at a 43.6% clip. While you’d like to see a few more rebounds out of a 6’8″ forward who plays nearly exclusively at the four, he’s a solid rotation player. Parker, who turned 36 last month, has seen his scoring numbers decline over each of the last five seasons, and was phased out of his starting role in 2017/18. The six-time All-Star should probably be viewed as a veteran leader who plays backup minutes from here on out. Like most Timberwolves players, Bjelica was overused when he was part of the starting lineup (34.0 MPG in 21 starts) and underused off the bench (14.3 MPG in 46 games). He’s not the sort of player who should get 30 minutes a night, but a 6’10” forward who makes 41.5% of his three-pointers, as Bjelica did last season, can be a key part of any team’s second unit. A stabilizing force in the middle for the Blazers when Jusuf Nurkic struggled, Davis remained a force on the glass in 2017/18, ripping down 7.4 rebounds in just 18.9 minutes per contest. The big man is still just 29 years old, so could receive multiyear offers from teams seeking a veteran center. Many of Johnson’s best traits don’t translate to the box score, but he’s willing to do whatever a team needs, whether that means setting screens and making the right pass on offense, or boxing out on defense. He’d be a solid third or fourth big man for most NBA teams. As long as you know what you’re getting – and what you’re not – from Beasley, the former No. 2 overall pick is worth a shot. In 150 games for the Rockets, Bucks, and Knicks over the last three seasons, he has racked up 21.5 points and 8.6 rebounds per 36 minutes. At times during his stint in Cleveland, Green looked like the third-best player on Cleveland’s roster. At other times, he looked like he should be out of the rotation entirely. The good version of Green shows up often enough that he’ll continue to receive plenty of NBA interest from clubs in need of a forward with some defensive versatility. After flashing an improved three-point shot in 2016/17, Grant struggled with that shot last season, but he provided value to the Thunder with his defense and his improved mid-range game. Grant, who is still just 24 years old, could be a sneaky buy for a rival team this summer with the Thunder at risk of going deep into the tax. Note: Enes Kanter and Dirk Nowitzki aren’t included on this list since Kanter is expected to pick up his player option and Nowitzki is a lock to return to the Mavericks, either on his team option or a new deal. It has been four months since we published the second installment of our 2018 free agent power rankings. Since then, we’ve seen certain players emerge and others fall off. Injuries have also had an impact on the outlook for certain free agents this offseason. As such, it’s time for our 2018 free agent power rankings to get an update. This time around, I’ve enlisted a little help for determining our rankings. Hoops Rumors writers Arthur Hill, Dana Gauruder, Austin Kent, and Clark Crum have added their top-20 lists to my own, so our new rankings reflect a combination of all five lists. Players who are headed for unrestricted or restricted free agency are eligible for our list, as are veterans holding player options for the 2018/19 season. For the most part, players with team options – or on non-guaranteed salaries – aren’t included here, since their teams will simply pick up those options if they want to keep those players. However, there’s one exception in our top five, which we’ll note below. As usual, our list reflects each player’s current expected value on the 2018 free agent market, rather than how we think they’ll perform on the court for the 2018/19 season. For instance, an older player like J.J. Redick has excellent short-term value, but didn’t make our top 20 because he’s unlikely to sign a huge multiyear deal this summer. In other words, age and long-term value are crucial. Our full list of 2018 free agents can be found right here. 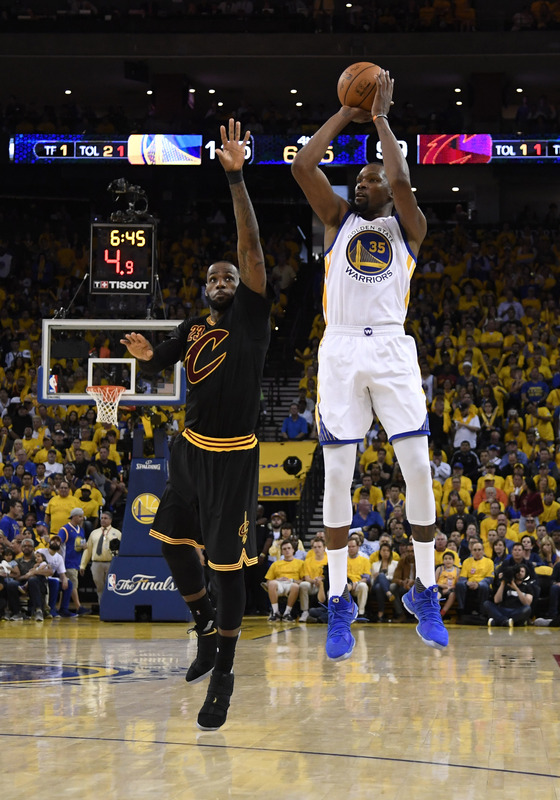 There’s no question that James and Durant, the MVPs of the last two NBA Finals, are the top two free agents in the 2018 class. The only question is which player comes in at No. 1 — three of us listed James in that top spot, while two of us had Durant there. Of course, there may not be much point in debating Durant’s place in the list, since he has confirmed he intends to re-sign with Golden State and won’t explore the open market. That leaves LeBron as this summer’s most tantalizing target. After a consensus top two, we have what essentially amounts to a consensus next four. Cousins’ Achilles injury makes him something of a question mark, and likely cost him a higher spot on this list — a healthy Cousins may have ranked as high as No. 3. Still, his top-six ranking reflects our confidence that he’ll be able to return from that injury and make a long-term impact for the Pelicans or a new team. Jokic is the only player with a team option included in our list. While it may seem like a no-brainer for the Nuggets to exercise his incredibly team-friendly $1,600,520 option, doing so would put the big man on track to reach unrestricted free agency in 2019. Turning down the option would give Denver the chance to lock him up as a restricted free agent this summer. No matter which route the Nuggets choose, Jokic is extremely unlikely to change teams this offseason. It’s hard to know exactly how much of Capela’s value stems directly from playing with James Harden and Chris Paul in a Mike D’Antoni system. It’s entirely possible that his impressive numbers (14.3 PPG, 11.0 RPG, 1.8 BPG, .654 FG%) would take a hit in another situation. But we found it hard to overlook Capela’s age (23) and the strides he has made in each of his four NBA seasons. He should be one of the most sought-after restricted free agents of 2018. Jordan’s skill-set is fairly similar to Capela’s, but he’ll turn 30 in July and there’s some uncertainty about whether he’s still a perennial Defensive Player of the Year candidate — his 1.2 blocks per 36 minutes this season are easily a career-worst. He’d do very well on the open market, but a long-term max deal is doesn’t seem realistic. Only four players signed rookie scale extensions during the 2017 offseason, which means there are plenty of 2014 first-rounders on track to reach restricted free agency this summer. Gordon, Randle, LaVine, and Parker are four of the best ones. Gordon and Randle have enjoyed breakout seasons in 2017/18, with Gordon adding a fairly reliable three-point shot to his game en route to posting career highs in PPG (18.3), RPG (8.4), and several other categories. As for Randle, he has been particularly effective since entering the Lakers’ starting lineup for good on December 29 — since then, he has recorded 17.9 PPG, 9.0 RPG, 3.2 APG, and a .566 FG% in 31 contests. LaVine and Parker have major upside and could still turn into two of the league’s best scorers, but ACL injuries have limited their development this season. The Bulls look like a virtual lock to re-sign LaVine, but Parker’s future in Milwaukee is a little more uncertain. It will be interesting to see how heavily the Bucks are willing to invest in the former No. 2 pick this summer. A pair of players who didn’t crack the top 20 in the first two versions of our 2018 free agent power rankings have earned spots on this list with strong 2017/18 performances. Evans has once again battled some injuries, but when he’s been on the court, he’s been terrific for the Grizzlies, averaging 19.4 PPG, 5.1 APG, and 5.1 RPG with a shooting line of .453/.396/.797. Memphis is hoping to re-sign him this offseason, but it remains to be seen whether the mid-level exception will be enough to do it. As for Kanter, some of his numbers don’t look dissimilar to the ones he posted last season in Oklahoma City, but he has been doing it against starting units this season in New York, rather than simply as a scorer off the bench. Kanter’s 10.8 RPG (in just 25.9 MPG) represent a career best, and he has received rave reviews as a teammate and locker-room presence with the Knicks. It’s still possible he’ll exercise his $18,622,514 player option for next season and put off free agency for one more year, but that’s certainly not the lock it once was. Our list is rounded out by several players whose stocks aren’t at their peak. Nurkic and Thomas had a chance to be top-10 free agents for 2018 with big seasons, but Nurkic has just been solid in Portland, while Thomas’ hip issue has affected his playmaking ability. Payton and Favors, former top-10 picks, have been somewhat inconsistent, but have looked good lately as they near free agency. Payton, in particular, has been a nightly triple-double threat since arriving in Phoenix (15.7 PPG, 7.7 RPG, 7.6 APG), though he has yet to show that he can do more than post big numbers on losing teams — Favors, at least, has displayed the ability to have a regular role on a playoff team. Caldwell-Pope and Bradley, meanwhile, were once viewed as potential $20MM-per-year players, but I’m not sure that sort of offer will be out there for them this summer. Caldwell-Pope has the age and size advantage over Bradley, and has a career-high 3PT% (.386) this season, so he may have a better shot at a big payday. A handful of players eligible for rookie scale extensions during the 2017 offseason signed new deals, with the Timberwolves, Sixers, Nuggets, and Suns locking up Andrew Wiggins, Joel Embiid, Gary Harris, and T.J. Warren, respectively. However, that modest, four-player group made 2017 the least eventful year for rookie scale extensions since 2003, putting most of the players who had been extension-eligible on track to become restricted free agents in 2018. Restricted free agency can be trickier to navigate than unrestricted free agency, which allows a team to sign a player outright. 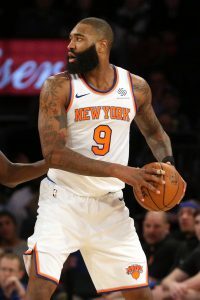 A team with a restricted free agent has the ability to match any offer sheet that player signs, but that doesn’t mean retaining him is a lock — the Hawks, for instance, were unwilling to match what they viewed as an excessive offer sheet for Tim Hardaway Jr. from the Knicks this past offseason. While restricted free agency can be a boon for certain players, such as Hardaway and Otto Porter, who received larger deals than they might have as UFAs, it can diminish the market for other players. Guys like Nerlens Noel, Alex Len, JaMychal Green, and Nikola Mirotic were on the RFA market for months this offseason and eventually either signed their qualifying offers or accepted short-term deals. Prying a restricted free agent away from another club often requires an aggressive – and perhaps overpriced – offer sheet. Sometimes, there’s just no team out there willing to make that sort of offer for an RFA, which significantly reduces his leverage. Today, we’re taking a look at a handful of players set to reach the restricted free agent market in 2018 who shouldn’t have to worry about being stuck in limbo for months and then settling for a below-market deal. We expect free agency for these five RFAs-to-be to play out more like it did for Porter or Hardaway than for Noel or Len. 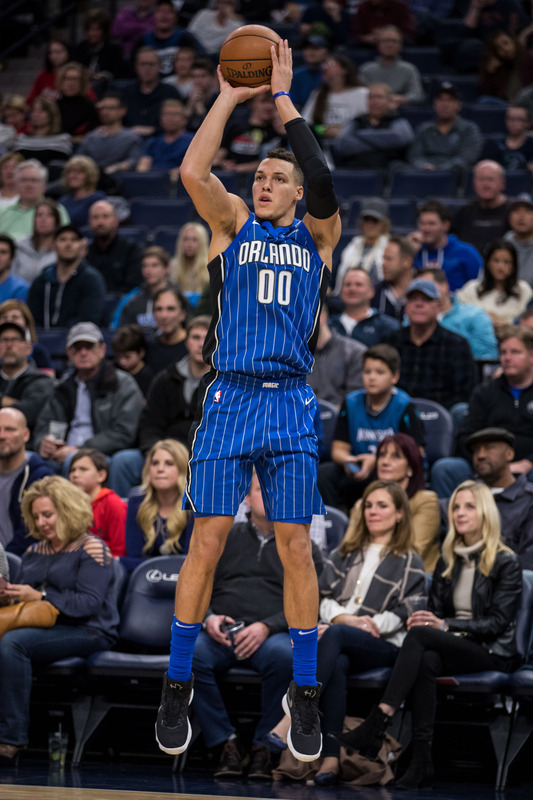 Aaron Gordon, PF (Magic): Gordon has slowed down a little since his red-hot start to the season, but he’s still on his way to a career year, blowing away his previous career highs in several key categories, including PPG (18..6, RPG (8.4), FG% (.510), 3PG (2.3), and 3PT% (.438). Gordon’s athleticism, his expanding skill set, and his age (22) make him a tantalizing target for any team in need of a power forward. The current management group in Orlando didn’t draft Gordon, so it will be interesting to see if GM John Hammond and president of basketball ops Jeff Weltman are willing to go all-out to retain the former No. 4 overall pick next July. Clint Capela, C (Rockets): Capela probably isn’t the sort of player who will become a team’s primary offensive option, but he has rapidly turned into one of the more productive and efficient complementary frontcourt players in the NBA. He’s averaging a double-double (13.7 PPG, 11.3 RPG) in just 25.9 minutes per contest this season, and his .670 FG% leads the league. Capela doesn’t shoot from the outside at all, and his free-throw shooting remains a concern, but he has improved his FT% every year since entering the NBA, and has protected the rim admirably (1.7 BPG). The 23-year-old is about to get expensive. 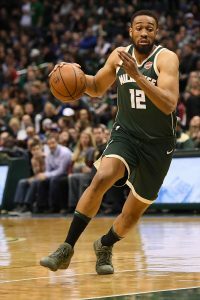 Jabari Parker, F (Bucks): If Parker had stayed healthy for all four of his professional seasons, he might already have a maximum salary extension in hand, like fellow top-two pick Andrew Wiggins. Instead, he’s still recovering from the second ACL tear of his young NBA career, and likely won’t get back on the court until February. As he showed last season, when he averaged 20.1 PPG in 51 games, Parker is capable of being one of the most effective young scorers in the league when he’s healthy. I’m bullish on him finishing the season strong and positioning himself for a lucrative new deal, but his injury history makes him a wild card. Zach LaVine, G (Bulls): LaVine’s situation is awfully similar to Parker’s. Like Parker, LaVine is coming off a career year (18.9 PPG) which was cut short just after the halfway point by a torn ACL. LaVine’s recovery is moving a little faster than Parker’s though, so we may see him make his Bulls debut this month. Chicago has high hopes for LaVine, one of the key pieces acquired in Jimmy Butler‘s blockbuster, and while the two sides didn’t work out an extension in October, there seems to be little doubt that the Bulls will lock up LaVine to a long-term contract in 2018. The size of that deal may hinge on how the 22-year-old performs upon his return. Jusuf Nurkic, C (Trail Blazers): After averaging a double-double during his first 20 games with the Blazers near the end of last season, Nurkic has struggled this season to get back to that level. 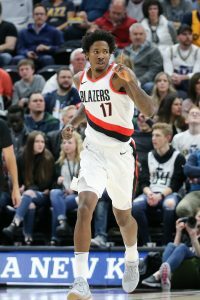 Having recovered from a broken leg, the big man has become a focal point of Portland’s offense and is recording a solid 15.5 PPG, but his FG% has slipped to .460, and his per-minute rebounding numbers are the lowest of his career. Still, at age 23, Nurkic remains a very intriguing long-term prospect, capable of providing value on both ends of the floor, which is why he beats out potential RFAs like Julius Randle, Rodney Hood, Marcus Smart, and Elfrid Payton for this No. 5 spot. We’re still nearly eight months away from the start of the NBA’s 2018 free agent period, but next year’s free agent class has taken a significant hit within the last month or so. Since we published our initial 2018 free agent power rankings in mid-September, several top free-agents-to-be have signed contract extensions, with Russell Westbrook, Andrew Wiggins, Joel Embiid, and Gary Harris among the players coming off the board. All four of those guys were in our top 10 last time around. As such, the newest installment of our free agent power rankings for 2018 will look a little different, and not just because the players who inked extensions are no longer on our list. Early-season performances and injuries will play a role in our rankings, and we’re making a couple extra players eligible for the list this time around. One is Nikola Jokic, who has a $1.6MM team option for 2018/19. We typically don’t include players with team options or non-guaranteed salaries in our free agent rankings, since their teams are expected to just pick up those options, keeping them off the free agent market. But in the Nuggets’ case, it actually might make sense to turn down Jokic’s option — if they do that, he’ll be a restricted free agent. If they exercise the option, Jokic would be eligible for unrestricted free agency the following year. The other newly-eligible player on our list is Robert Covington, who technically doesn’t show up yet on our 2018 free agents list. We avoid moving players with non-guaranteed 2017/18 salaries to subsequent free agent lists until their salaries become guaranteed. In Covington’s case though, that’s a mere formality. He’ll become a free agent in ’18 unless the Sixers extend him before then. As usual, our list reflects each player’s current expected value on the 2018 free agent market, rather than how we think they’ll perform on the court for the 2017/18 season. For instance, an older player like J.J. Redick has solid short-term value, but didn’t make our top 20 because he’s unlikely to sign a huge multiyear deal next summer. In other words, age and long-term value is important. Although his team is struggling to start the season, James remains a dominant force. 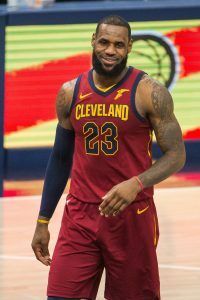 Yet he has looked mortal in recent weeks, slowed in the preseason by an ankle injury and unable to will the Cavaliers to wins against opponents they should beat. The door is open for Durant to take over the No. 1 spot at some point during the season, though the distinction between the top two shouldn’t matter much. Meanwhile, Cousins is off to a monster start in New Orleans, and while I still think George’s two-way ability and Jokic’s age make them slightly more valuable assets, Cousins may force my hand and make me bump him into the top three if he keeps playing like this (30.1 PPG, 13.0 RPG). Paul slips out of the top five this time around, and is in danger of falling further as the season progresses. If CP3 continues to battle injuries and doesn’t adjust to the Rockets’ pace and style of play as well as the team hopes, it’s hard to imagine him getting a long-term, maximum salary contract next summer at age 33. I may be overreacting to Gordon’s hot start, but he’s finally locked in at the power forward spot and has looked tremendous so far for Orlando, averaging 20.7 PPG and 8.7 RPG with a .561/.577/.739 shooting line. The former fourth overall pick is only 22 years old, and if he becomes a reliable three-point threat this season, he’s going to be in line for a massive payday in 2018. Parker’s placement in this list is tricky — the fact that Andrew Wiggins signed a max extension buoyed my confidence in Parker getting a huge contract of his own in July, but that will hinge on him coming back strong from his ACL injury. For now, I’m betting on that happening. Covington and Capela are somewhat overlooked on their respective clubs, perhaps dismissed as merely “role players.” But they’re terrific role players. Already a reliable defender, Covington has improved his three-point efficiency in the early going this season, making an impressive 3.4 threes per game at a 48.2% rate. He likely won’t keep up that pace, but three-and-D specialists do very well in free agency and he’s set to get a big raise. As for Capela, his game isn’t as well-rounded as you might like, and it remains to be seen if he’ll ever be the sort of player who can average 30+ minutes per game. So far in 2017/18 though, the 23-year-old is averaging a double-double (13.3 PPG and 11.4 RPG), providing rim protection (1.6 BPG), and practically never missing a shot (.707 FG%). Nurkic, LaVine, and Thomas all have the potential to jump into the top 10 by season’s end, but LaVine and Thomas will have to get back on the court and show that they’re fully healthy first. As for Nurkic, he has been plagued by injury issues throughout his career, but his main problem at the moment is that the Blazers have been a much more effective scoring and rebounding team with him off the court this season. Nurkic’s stock will improve as those numbers do. Like Covington, Green is playing the three-and-D role to perfection this year. After being named to the All-NBA Defensive Second Team last season, Green is knocking down a career-best 43.8% of his three-point attempts in 2017/18. He’ll be 31 next July though, limiting his long-term earning potential. Payton and Hood beat out the 33-year-old Anthony here due to their youth and their upside, but Carmelo may provide the better return on investment for the next year or two. As for Caldwell-Pope, he remains a confounding player to evaluate. After an impressive sophomore season in 2014/15, he showed few signs of improving his production during his ages 22 and 23 seasons in Detroit, and his age-24 season in L.A. has been no different to date. 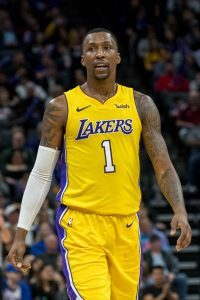 KCP is young enough that a breakout could still be coming, but for the time being, it may be hard to justify a substantial long-term investment in him. The list of 2017 free agents continues to dry up, which means it’s time to shift our focus to the group of players on track to reach the free agent market in 2018. We’ve got a full list of those 2018 free-agents-to-be, divided by position and FA type, and a separate list that sorts them by team. Since we’re still more than nine months away from the 2018 free agent period opening, those lists look a little more star-studded now than they’ll end up being. A handful of top-tier restricted free agents figure to sign extensions with their current teams before opening night in October, and it’s possible that a couple veterans will do so as well — Russell Westbrook, for instance, could ink a Designated Veteran Extension with the Thunder within the next month. Still, even though not all of the top potential 2018 free agents will reach the open market – and not all of them will change teams if they do – the list includes enough big names that it should still look pretty impressive when next July rolls around. Below, we’ve taken our first crack at ranking some of the top potential free agents for 2018. While this is our first extended look at 2018’s top free agents, it certainly won’t be our last. Extensions, injuries, breakout years, trades, and poor performances figure to affect these rankings over the course of the 2017/18 season, so we’ll be revisiting the list every month or two to make updates and changes. Our list reflects each player’s current expected value on the 2018 free agent market, rather than how we think they’ll perform on the court for the 2017/18 season. For instance, older players like J.J. Redick and Dwyane Wade have solid short-term value, but didn’t make our top 20 because they’re unlikely to sign huge, long-term deals next summer. In other words, age and long-term value is important. LeBron James, F, Cavaliers (player option): James will be 33 years old when he reaches free agency next summer, which normally would be enough to drop him a couple spots on this list. However, virtually any team in the league would still jump at the chance to give him as many years and dollars as possible next summer, since he has yet to show any real signs of slowing down. Kevin Durant, F, Warriors (player option): Of all the players on this list, Durant is probably the least likely to change teams in 2018. He’s simply going year by year with the Warriors because it makes more sense than locking himself into a long-term deal — that decision allowed him to get a raise this offseason while forgoing his maximum salary to help Golden State re-sign other key players. Nonetheless, he remains on track to technically become a free agent in 2018, so he deserves this spot, if not the one LeBron is currently holding. Russell Westbrook, G, Thunder (player option): Four players this offseason were eligible for the NBA’s new Designated Veteran super-max contracts — Stephen Curry, James Harden, and John Wall all signed theirs, but Westbrook has yet to put pen to paper. If he does so before opening night, he’ll come off this list and the Thunder will breathe a little easier. If not, let the rumor-mill fun begin. Paul George, F, Thunder (player option): While the Thunder remain optimistic about locking up Westbrook, they have no misconceptions about extending George before next July. The former Pacers forward has been long rumored to be eyeing a move to the Lakers, but what happens this season in Oklahoma City – not to mention in Los Angeles – could go a long way toward determining if that’s really his best move nine months from now. Chris Paul, G, Rockets: Paul was a fixture in the top five of our 2017 free agent power rankings, but when an opportunity to be traded to the Rockets arose in June, he unexpectedly opted into the final year of his contract and put off free agency for another year. It sounds like both the Rockets and Paul expect to continue their relationship beyond the 2017/18 season, but we’ve yet to see the veteran point guard play a single game with his new club, so shouldn’t necessarily pencil CP3 into Houston’s lineup for years to come quite yet. DeMarcus Cousins, C, Pelicans: While the Kings never came out and said it, it appeared the team wasn’t fully comfortable committing to a max (and possibly a super-max) salary for Cousins’ next contract, opting to trade him before having to make that decision. Cousins’ performance this season in New Orleans may have a significant effect on how many other teams will be ready to make such a commitment. Few NBA big men can score like Cousins, who is even developing a reliable outside shot, but he has yet to play for a winner, and if he can’t break through with another superstar teammate (Anthony Davis), that may dampen some potential suitors’ enthusiasm. Andrew Wiggins, G/F, Timberwolves (RFA): It’s been a somewhat unusual summer for Wiggins, who was involved in several Kyrie Irving-related trade rumors and then fired his agent after receiving a five-year, maximum salary extension offer from the Wolves. Even if he’s at all put off by owner Glen Taylor requesting a face-to-face meeting before making that commitment, Wiggins seems pretty unlikely to turn down an offer of that magnitude, so I expect him to accept it and come off this list at some point soon. Joel Embiid, C, Sixers (RFA): No potential 2018 free agent is trickier to evaluate than Embiid, who has famously only appeared in 31 NBA games during his first three years in the league. 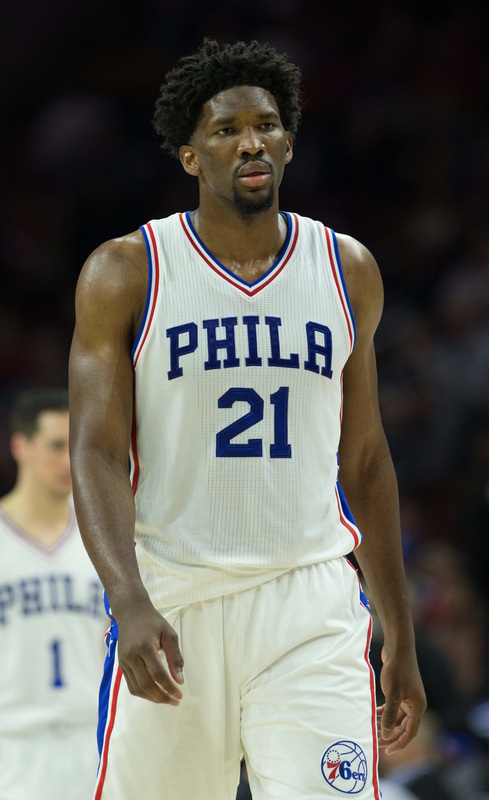 Of course, Embiid’s health will be a huge factor in determining whether he slips out of the top 10 during the 2017/18 season, or whether he climbs even higher. When he’s on the court, Embiid looks like the type of player who should have his pick of long-term, maximum salary offers at 12:01am on July 1. If he battles injuries once more though, those offers may be for a shorter term or packed with games-played incentives — and if his health issues get even worse, those offers may not be on the table at all. Avery Bradley, G, Pistons: Bradley isn’t at the same level as guys like Kyrie Irving or Gordon Hayward, so it makes sense that the Celtics were willing to part with him in order to secure more All-Star caliber talent. But Bradley is a dynamic two-way threat who shot 39.0% from three-point range and plays strong defense. That type of player is extremely valuable in today’s NBA, making him highly coveted on the open market in 2018. Gary Harris, G, Nuggets (RFA): Harris’ numbers don’t pop off the stat sheet, but neither did Otto Porter‘s, and Harris had a more effective third NBA season than the Wizards forward, who signed a maximum salary offer sheet earlier this year. Having just turned 23, Harris has plenty of room to improve on last year’s 14.9 PPG and .420 3PT%, and could be one of the hottest commodities on the RFA market next summer if the Nuggets don’t extend him this year. Disagree strongly with any of our rankings? Feel like we omitted any players that should be in the top 20 (or the top 10)? Weigh in below in the comments section to let us know! Hoops Rumors’ up-to-date list of 2018 free agents by team is below. These are players who are eligible for restricted or unrestricted free agency after the 2017/18 season. Players with team or player options for the 2018/19 season are listed, unless they’re still on their rookie scale contracts. Players whose 2018/19 contracts aren’t fully guaranteed are also listed. Potential restricted free agents are marked with (RFA). Players who were waived by their NBA teams will not be listed here. This list will continue to be updated throughout the 2018 offseason, so be sure to use it and our list of 2018 free agents by position/type as points of reference. Both lists can be found anytime under “Hoops Rumors Features” on the right-hand sidebar of our desktop site, or in the “Features” menu of our mobile site. If you have any corrections or omissions, please contact us. Hoops Rumors’ up-to-date list of 2018 free agents is below. These are players who were eligible for restricted or unrestricted free agency after the 2017/18 season or who have been released since then. The player’s 2018 age is in parentheses. Generally speaking, only players who appeared in at least 10 regular season games in 2017/18 and/or finished the season on a 15-man NBA roster are listed below. Players who have appeared in games during the 2018/19 season and are no longer on a roster are also listed. This list will continue to be updated throughout the 2018/19 season, so be sure to use it as a point of reference throughout the year. It can be found anytime under “Hoops Rumors Features” on the right-hand sidebar of our desktop site, or in the “Features” menu of our mobile site. If you have any corrections or omissions, please contact us. No decisions remaining. Click here for Hoops Rumors’ 2018/19 player option decision tracker. No decisions remaining. Click here for Hoops Rumors’ 2018/19 team option decision tracker. Our list of players on non-guaranteed contracts for 2018/19 has been moved. Click here for that list of players, who aren’t free agents, but don’t yet have fully guaranteed salaries for the coming season. Contract information from Basketball Insiders was used in the creation of this post.